This week we have been learning what it means to be healthy on the inside as well as the outside. Our minds need taking care of just like our bodies do and sometimes when we have thoughts that make us a bit grumpy, our minds can become cloudy, noisy and full. 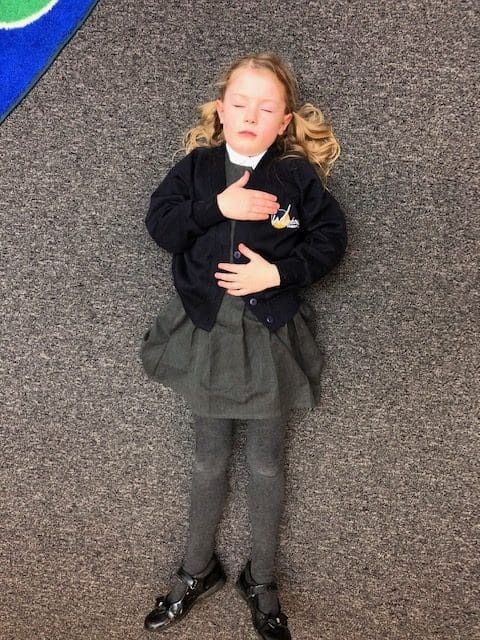 When this happens, we might act in scared, angry or upset way and our overall well-being can then become low. 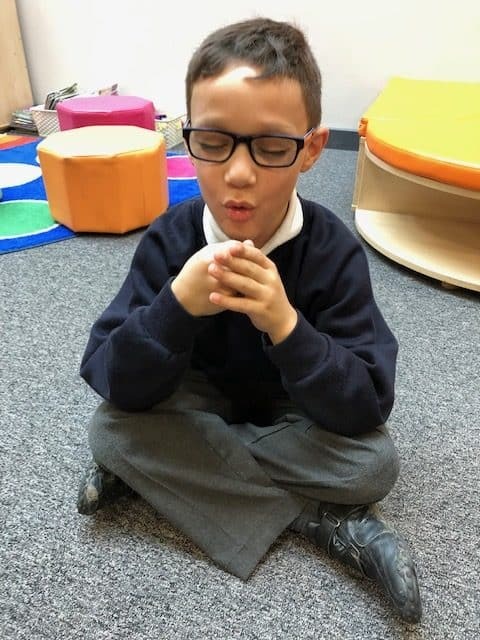 This week we have looked at ways to calm our busy, noisy minds so that we don’t react with anger or fear. 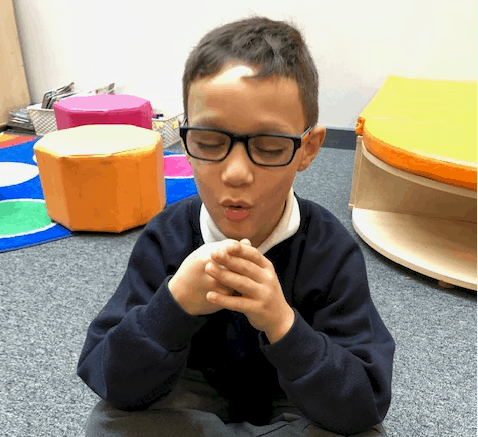 It was lovely to see the children try out different breathing techniques that they can use as little tools in the tool kits whenever they feel they need them. 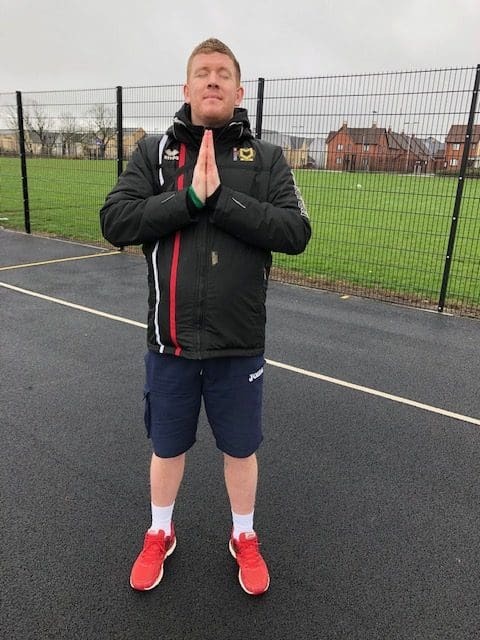 Teachers love some yoga too and Mr. Lindop had fun on the playground at lunchtime showing children how to be strong in mountain pose. He had quite a crowd!